I've been a Bernina lover for a long time and I still am. I own a little Bernina Activa 230 and that machine has seen me through thick and thin, literally. Honestly, I didn't even know how much I loved that machine until I started trying others and working on machines that students would bring to classes I taught. Not trying to bag on any machine, but wow, I noticed a world of difference. 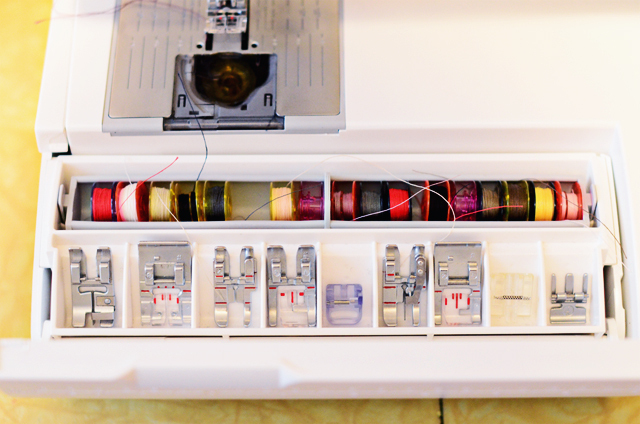 Machines that wouldn't even sew through a certain thickness of fabric (like 2 layers of wool), had crummy, crummy tension problems, made frightful buttonholes, tears started flying when the word "zipper" was mentioned - things I've never really dealt with coming from my experience with my Bernina. Then I decided that I was interested in doing a collaboration with a sewing machine company. There are a lot of reasons why, but let's just say that I was interested. I did ask Bernina and never got a response. So I looked elsewhere. I had worked on a couple of Pfaffs that students had brought into some of my classes, and I was impressed with their simplicity and ease of use and so I thought I would ask Pfaff if they were interested. And they were. We all got to talking and emailing and we made a deal and by August of this year or so, I had a shiny new Pfaff Performance 5.0 in my possession. For what it's worth, and since I've had some time to get used to my new machine I thought I would go ahead and give an honest review of my experience with it and what I think. Coming from my great experience with my Bernina, I thought this might be a helpful review if you're in the market for something new. There's more than one fish in the sea, it seems. Let's start with this. Not only do I love Berninas now, but I passionately love Pfaffs. This machine is marvelous to work with. 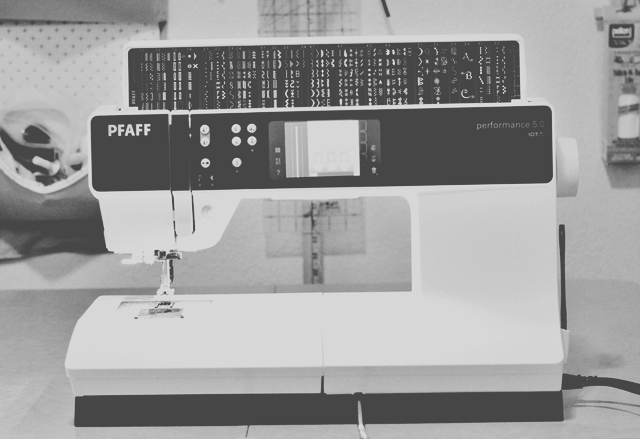 Again, I have the Pfaff Performance 5.0. This machine has a beautiful stitch. Perfect tension. Truly, perfect. And the great part is, it is perfect even when the fabric is really really thick, or if you've got a nice heavy topstitch thread plugged in (something my Bernina struggled with, but still did a passable job). I ALWAYS look at this sort of thing first. A big win there. This machine is a computerized machine, but the computer system is surprisingly easy to use. I say that dreading any kind of "getting used to" computer things on anything. The learning curve here is pretty intuitive. There were very few things that I couldn't just figure out on my own and the simple manual that comes with this machine is helpful (and simplified - did I mention it's simple?). There's a crazy amount of stitches on this girl. As someone who doesn't use that many to begin with, I was impressed and then more impressed to find that the stitches are pretty fun to use if and when you get the chance. The triple straight stitch is pretty amazing; my Bernina can't hold a candle to it. There's several really, really awesome buttonholes and I love the buttonhole foot that already calculates how big to make your buttonhole just by having a pre-specified size already programmed into the computer interface. I still have to measure the button and do a tester but, it's a nice change to calculating the right size for my Bernina buttonhole (though my Bernina makes beautiful buttonholes too). I'm loving the control I feel with this machine. The foot pedal is absolutely marvelous. You have so much control - it's not just a race car right out of the gate. Still getting used to the knee lift (pictured above - no, that is not just some random crap shot of my dirty sewing room! ha ha! ), but I'm beginning to love this more and more. It's nice to have more free hands in various parts of the sewing process. I die over the free arm space. Feel like I could shove a quilt through that free arm. It's that big! You can take the bed of the machine out and voila, instant sleeve bed. Love that. IDT is pretty amazing. I love that you can use it or not. Like when I'm putting in a sleeve, don't want IDT. But when I'm stitching on a voile, chiffon or other lightweight fabric, this is a dream! No ripples (or lots fewer ripples) and the stitch is even. (IDT is short for Integrated Dual Feed and it's Pfaff's built in system for the foot and the feed dogs to feed the fabric evenly - like a walking foot, but without having to change the foot out). In the photo above, the IDT thing-a-ma-jig is that blackish foot at the back of the presser foot. My Pfaff came with a plethora of sewing machine feet. They are snap on - not my favorite, but I love the fact that they are more evenly priced and I'm loving the clear feet that I've got (how did I ever live without these before!). The invisible zipper foot is marvelous and so is the regular zipper foot - my favorite thus far out of all the machines I have ever used. The bobbin is topside. At first I was turned off by this, but the stitch is so marvelous I can't complain. I love the old-school storage for feet and bobbins in the bed of the machine. Such a simple thing, but something that ticked for me. I think that about wraps it up. This machine is a goodie and I'm thrilled to be collaborating with Pfaff for it. There's a crew of us over at the Sewing Party that are working with some fun machine brands and contributing to this site. Lots of good stuff going on over there! Really good stuff. Definitely check it out. And hey, if you're in the market for a new machine, come this holiday season, get yourself over to a Pfaff dealer and give these guys a test run. Worth. every. cent. Just sayin. I'm giving the Pfaff Performance 5.0 a 5-star rating. I read this article with intense interest! You see... much like you I have a Bernina. And, there is much to love about it, exponentialy better than the cheap machine I had before the Bernie. But, for me, there were also some issues I had with my Bernina. To be honest, I felt like a traitor after so many people just loved, loved, loved their Berninas. One of my problems was simply being able to sew and have stripes match up. And I tried everything - pinning all over the place, using the walking foot that I detested, basting first, whatever and one day I read someone raving about their Pfaff and the IDT. I did some research, and ended up getting exactly the model you reviewed! And, I love so much about it! Right now, that is the machine that is sitting out and being used, not the Bernina. 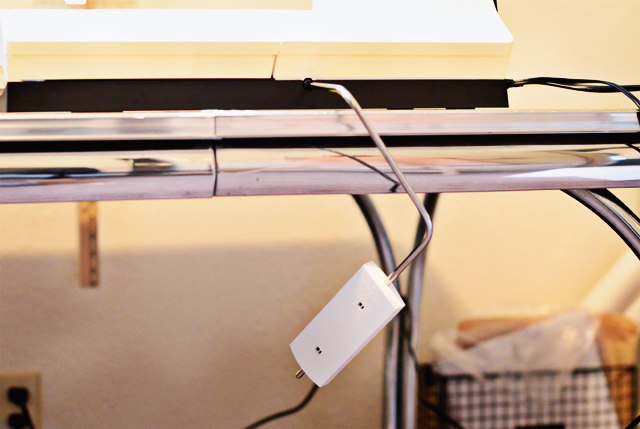 The IDT makes sewing with stripes and flimsy materials so much easier. Honestly, while I agree that Bernina makes a good machine, far studier than some others out there...I would steer someone towards a Pfaff based on my experience. You don't need to mortgage the house to get a machine and feet to the degree that Bernina requires, the IDT is WONDERFUL and far better (IMHO) than the walking foot, and the feet are definitely less expensive (although Bernina marks their feet with numbers much more clearly than Pfaff feet, one of my little pet peeves with Pfaff). If I could turn back the clock a few years, I would hands down leave the Bernina at the store and get the Pfaff in the first place. Oona Balloona (the bloggist) has the same feelings - tried a Bernina but ended up with a Pfaff and is head over heels in love with it, just didn't "feel it" with the Berninas she tried. I'm looking forward to hearing others responses. This sounds like a great machine. All those stitches!! 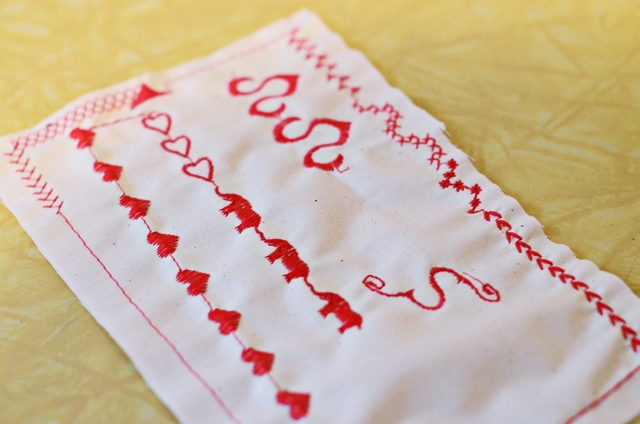 Anything that can embroider a row of hearts and elephants like that has to be good. I have the last all metal, all mechanical Pfaff machine made. (Tipmatic series, top of the line). It will sew through triple layer flat felled seams on hemp denim gliding over seams where there are eight thicknesses of fabric without a hiccup. It will sew through leather with the right needle. And it will not make a mess of slinky crepe de chine and other squirmy fabrics. It doesn't have the fancy stitches, well, it has a couple, but it is my workhorse and I am spoiled by its Teutonic precision. I too wanted a Bernina and ended up with a Pfaff. So glad. I really really appreciate detailed reviews and pics on sewing machines. Where I live, there are no sewing machines dealers. None! What I can access, equates to what a person in the USA would pick up from a big box store. I am drooling over this Pfaff! It looks lovely! Would you be to update on your experience though in a few more months? I've seen some reviews where users complained of tension and error message problems after a few months use. I have Pfaffs! 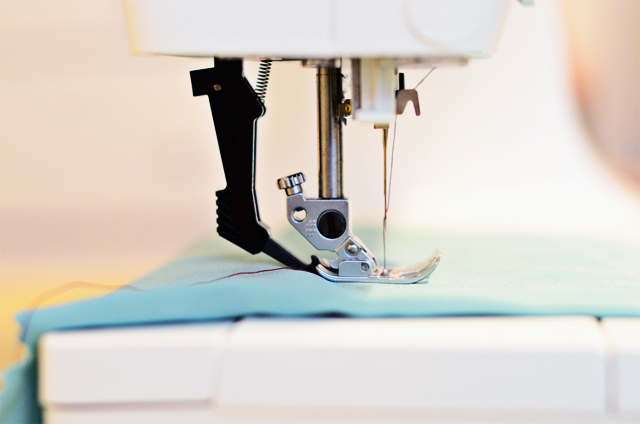 They are just about the only machine I've ever sewn on so I was surprised to read this article. I thought all machines did what Pfaffs do! I have a 1999 and a 2008 models. My mom though, has one from the 1950's that her aunt's sister used to be a dealer for. She could do fancy schmancy stitchery with it, something my mom doesn't remember. 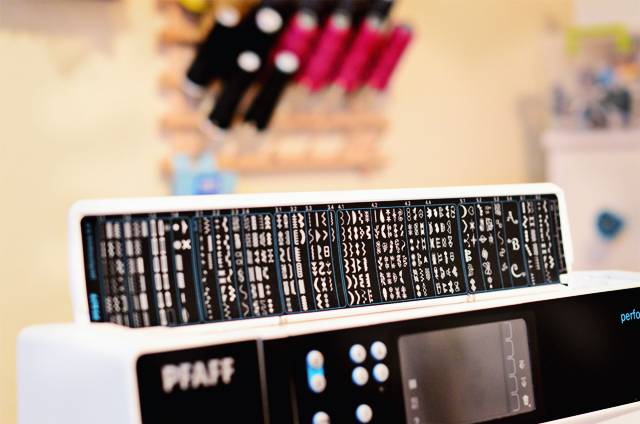 How fun that you have a Pfaff! Loved the review. Big question. What is the price range on this machine. I'd love one of the all-metal ones!!! Congrats on your new collaboration! I love my Bernina but have found the tension adjustments of late to be a bit challenging as I've taken some different projects. It's nice to know there are other machine options out there. I'll look forward to seeing your new creations. I've worked on those "Hobby" machines with students and was very impressed - they are marvelous. I too love my Bernina, but I like you, have spent a small fortune on the feet. I think I remember my walking foot coming in at around the $175 area, so I do like that the Pfaff feet are much more affordable, even if they are snap on. The IDT is truly amazing and it's nice to know that Pfaff has had the handle on this technology for so long - they've worked out all the kinks. I have to admit, I don't know how I would feel if I walked into a shop now and tried a Pfaff up against a Bernina. They both have really really strong points and I have years of experience with my Bernina. But I'm getting swayed over into Pfaff territory, slowly but surely. This is really great to hear! I love it when people are having great experiences with sewing machines. Having bad experiences is so awful and makes you want to quit! Ugh! I know! It's got more stitches than I know what to do with, but really fun and as I was messing around on it the other night, the creative juices started flowing as to what I could do with some of them. So much fun! Wow. This makes my heart sing. I too would love an all metal machine! Something to keep an eye out for in the future! Sure! I've only worked on this machine for the past few months - since July/August - and haven't had any troubles. May I ask, where did you read the reviews? I would love to read them too! Machine problems are the worst! Nothing worse than having to take it in after the first few months of use. Ugh. congrats on your new machine and the collaboration. I appreciate your honest review. I have the TOL emb/sewing Pfaff machine and love it. I took this love of this machine and purchased an Ambition 1.0 for third daughter. She was a then 18 year old who loves to quilt. Her twin (daughter 4) started to love quilting but didn't want that machine, so we stepped down to the Ambition Essential. This was in 2013. Well, we do not own either of these machines any longer (the Essential as of last night). I believe the lint gets under the bobbin and causes so many issues, I could fix it but it would take multiple times of removing the throat plate and the bobbin case to make it run smoothly again. As you know, nothing is more frustrating than a machine that won't work correctly. I asked my daughters if they wanted to upgrade to a more expensive Pfaff. They said no, not at all. One owns a Janome now and last night we traded the Pfaff for a Viking. The Pfaff would not work at all this weekend for my daughter and it sealed its fate! The IDT on the Pfaff is the best for so many sewing needs. So Pfaff, if you are listening, take a look at this issue. I don't believe it is a coincidence, since my daughters have had this many times and a good friend owns the Ambition 1.0 and experiences this all the time. Now, take in mind they are quilters and use precuts lots, thus more lint. Sorry to leave such a comment, but I thought I was a perfect opportunity for Pfaff to see. I'm loving my Pfaff! Feel just a little spoiled. Yay! I was told around $3000, but I know that when you go into a dealer, you can usually negotiate. Around the holidays or even after there always seems to be good sales on machines. I know exactly what you mean. I paid around $1200 for my Bernina and this Pfaff, I was told retails around $3000. I'm also wondering if Pattern Review would tell the prices of certain machines. I know they do machine reviews on there which are really helpful and I'm seeming to remember that the range of price is included with the review? Tension is such a hard subject! I've seen some machines with seriously crummy tension and it's nice to know that it's the machine and not you! I know that my Bernina dealer will do trade-ins, have you ever thought of that? Thank you Lori! I think this is a great place for Pfaff to see this problem - thanks so much for posting this problem. As a former small business owner, I know that I wouldn't usually know that something was a problem unless someone brought it up to me. Customer feedback is great in that way! Good to see you back writing your blog. As ever an interesting topic. Well done on getting your hand on such a fine machine. I got my Pfaff 7550 in1995 and have used it for practically everything since. I love it! I came to it via many Singers, and one truly awful Brother and cannot believe how good this machine is. The tension is the most important feature of any machine as far as I am concerned, for puckered seams are such a no-no. The tension is the best feature of this machine as far as I am concerned. My machine like yours has more stiches than I will ever use but is so reliable. Your one has more advanced features, eg thread cut off, but I think that I live without this. As far as I am aware mine is a metal one so another reason to hold on to it! The only crib I have with my machine is the zip foot. In desperation I bought a Janome last year, when I had a jacket with the zip removed for repair and the Pfaff could not handle it. A fairly basic (entry line computer model) has filled the bill quite nicely. Now I have the luxury of two machines which is fantastic when working on a project that needs two different threads. Bottom line though the Pfaff is my prefered go to machine. I bought a Pfaff 2140 over ten years ago and still use it every day. Love the Idt, I've made everything from bridal to curtains. Even though it cost alot at the time (about 2000 euro I think),it has been well worth it. My dear husband bought me this exact machine for Valentines Day to replace a very old, worn out Pfaff that I had been using for years. I love this machine!! 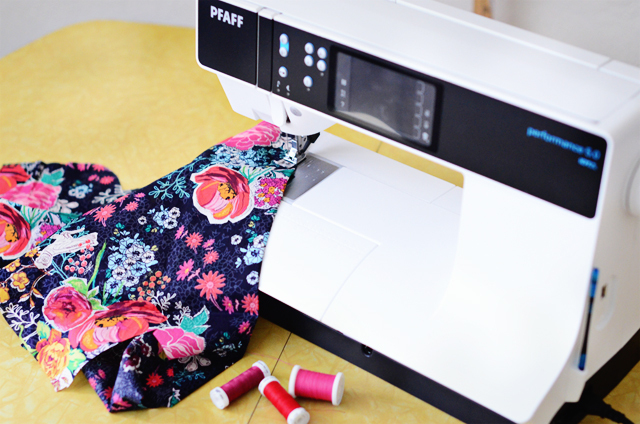 I did try out some other brands but for me, nothing sews like a Pfaff! I just test drove a Pfaff at the Creativ Festival in Toronto last month. I have an entry level mechanical Janome and I used to teach with Berninas. I couldn't decide which brand of machine I would purchase because I am due for new machinery!! I fell in love with the Pfaff! Thank you for the review. GREAT POST! I too am a Bernina-hugger. Mom gave me a 730 mechanical in 1981 (used) and IT IS STILL SEWING ALL MY PROJECTS--leather doublets, wool frock coat, canvas cushions, gauzy lingerie! I inherited her 830 when she died, and it is a honey, although I like the 730 better for its buttonholes and zipper insertion. I also have her Bernina Serger 2000D, but sadly the edge of the needle plate cracked off last summer, and replacements are NOT available. SIGH. Does Pfaff have a good serger? I see ebay has Bernina servers that are similar to mine the 2000DCE, do you have experience with them? My repair guy retired and I have to drive 50 miles to get to another one. I love my Creative Performance, but hate the zipper foot! I'd love to hear you explain why you like it so much. I know I have it on properly, but find no marking or spot by which to judge a 1/4" seam allowance. Mine was about 2500.00 - but I forget the exact amount. I've been sewing with Pfaff machines (have 3) for the last 25 years and I wouldn't change. The IDT feature is fabulous!!! Thanks for your review Sunni! I have a Creative Performance and I love it, but I've always wondered how it compares to Bernina. You know on the part the pops up with all the stitches? On the far right there's a little ruler where I measure my buttons to determine the length of the buttonhole - I usually just add 1mm and that works out well for me. Love your review of this machine. I like it too. (athou, I do not own it) Most of the machine that Pfaff makes a wonderful. I love, love the IDT system too. So very handy to have when one needs it. The button holes are some of the best I have ever seen. Thank you for such a great review. I have been wanting to get a new PFAFF for a while now. I have the Creative 1471, an ancestor of this machine, I believe. It was new to the computerized scene years ago when they were just getting started with that. I love it. I love IDT. I love no tension problems whatsoever. I love PFAFF! Thanks for the awesome review! I'll be shopping soon! Usually with Bernina feet, you receive the foot and the shaft all in one. The ease with which you change out a Bernina foot is pretty amazing and the feet themselves feel like you could run over them several times with your car and they would still be usable (ok, I might be exaggerating just a bit). They are very sturdy. The snap on feet just take some getting used to and I am getting the hang of them now. I prefer the way you change out a Bernina foot, but as for the feet themselves in contrast with the Pfaff, I really like the feet that Pfaff puts out. The functionality of the clear feet is pretty great and honestly, the IDT takes the cake and helps the feet that it works with so much. That saying "You can't have it all" is apropos here. If I could build the machine from my head, I would use elements from both machines that I love and ditch the things I don't love so much - but then again I don't know anything about building sewing machines, so I can't really talk. Anyway, I love my Pfaff. I just love it! What a GREAT tip! Thanks for this Heather! I too have the P5.0 machine, her name is Pfenella...... She is probably the last sewing machine I will buy, my machine of a lifetime. I moved on to her from a Husqvarna Viking. The darn thing struggled with thicker layers of fabric, didn't like denim and sewing around the base of a bag with its multiple layers was nigh on impossible. But Pfenella doesn't bat an eyelid at such things. Just powers on through. I recently made a coat using a plaid, and the pattern matching was amazing. No slippage. I also love the extra wide embroidery stitches it does. Beautiful. Really? The drop in bobbin produces a stitch with perfect tension? 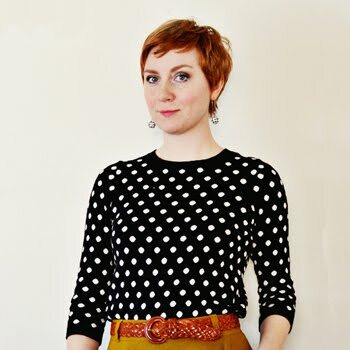 I always loved Pfaffs until I got the Creative Vision with drop in bobbin. I had three different machines and they could not get any to stitch right. I have wanted to have another Pfaff but have been afraid. I have a Bernina now and I like it but I still long for a Pfaff. Does your machine have a stitch creator function? 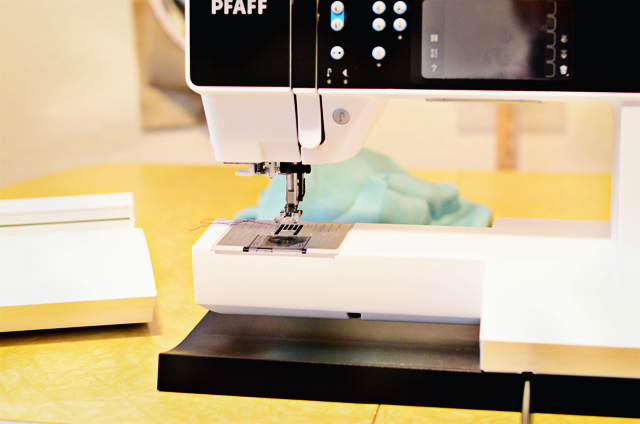 I was a professional period designer and seamstress when I found Pfaff 31 years ago. I bought the very first computerized creative model available in the U.S. and LOVED it immediately. I put it through more sewing of very heavy wools, canvases and leathers as well as working on $450+ per yard silks and other fine fabrics. It never had a problem. I travelled with it and it was the easiest machine to take, knowing it would always perform. I finally succumbed to wanting a new machine a few years ago, after my 29 year-old Pfaff had been for annual service and I was told I should be looking for a new replacement. I didn't feel it worth a four hour drive to the then nearest Pfaff dealer. I got a top end Husqvarna and knew it would be a big step down from a Pfaff,but I had no idea how truly big a step down it was. It couldn't handle fine fabrics or heavy ones without lots of adjusting tensions. It had no dual feed unless you purchased a clunky special foot that still didn't do a decent job. I used the machine limitedly for a while and finally sold it to a beginning sewer who was ecstatic about getting it. I'm still using my old Pfaff Creative of 31 years and will continue until it dies. Hi Sunni, I bought a new Pfaff Expression 3.5 last fall and I really love it too. I had been using my 16 year old Singer up until then and wow, what a step up! The IDT is my favorite! Thanks for sharing your review. I too have the Pfaff Performance 5.0 and love it. I also was a diehard Bernina girl before I got my Pfaffs. As you, I love them both. Thought you might like to know that the triple straight stitch is GREAT for emulating topstitching. You can use regular weight thread and get a topstitch look, which is amazing when you want to use an unusual thread color. 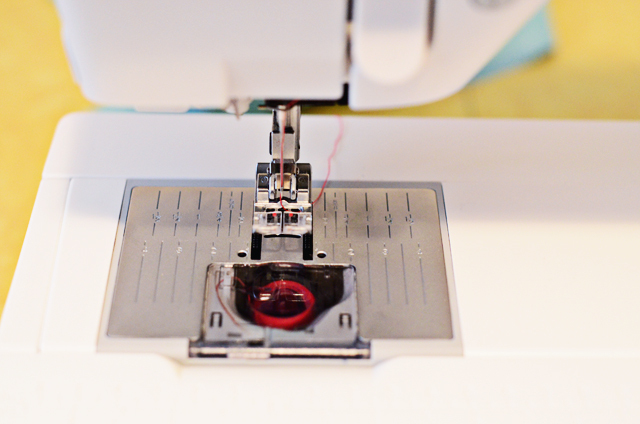 I can also say that I am a big knee lift fan, but because the Pfaff Performance 5.0 has auto foot lift and the foot atomatically lowers when you start sewing I never put it on anymore. Don't really need to. Thought you might be interested in that as well. I have a feeling the more you use the machine the more you will love it. My all time favorite presser foot whether I am on my Pfaff or Bernina is the narrow edge foot (Pfaff name). Know as a #10 edgestitch foot on the Bernina. Anything from topstitching, binding a quilt or stitching in the ditch, to name a few. So anyway, I am so glad that I am not the only one who loves both her Pfaffs and her Berninas. Nice, honest review and congratulation on your new venture. Pfaff is a wonderful brand. My mother sewed on Pfaff, I never did because I always sewed on Brothers, Singers and other brands. Then I bought a Creative Vision back in 2009. Since then I have switched to the Pfaff side period. I upgrade every time a new TOL is released. I quilt and sew with pretty much every fabric out there and I always get perfect results. Love this brand and I will never stray from it hahaha.. I've sewn for over 50 years, and have owned many machines, from the Kenmore I took to college to my current Pffaf. Hand down the Pffaf is the best. I have a QuiltExpression 4.0, purchased used. I love it, and sewing has again become a joy., mostly due to the IDT. Stripes and plaids are no worry any longer. Love reading your posts, and have found your Craftsy zipper class very helpful. Here's to many more projects on our Pffafs?